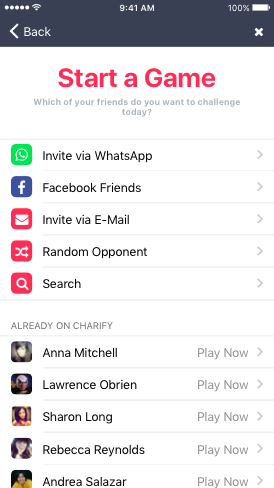 Charify makes giving to charity competitive and fun. 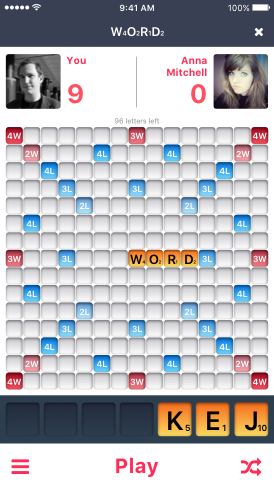 With Charify, you challenge your friends in a game of your choice. If you win, you get to pick the charity your friends will donate to. 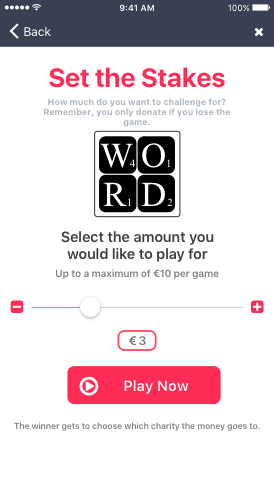 If you lose, you donate to the charity your friend has picked. That way, every one’s a winner. Who do you want to challenge today? 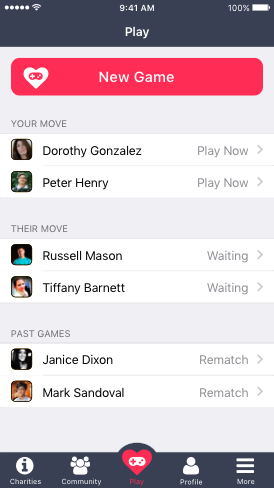 Play against your friends or make new friends on Charify. 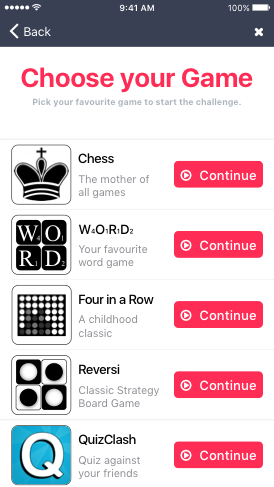 On Charify, you can choose your favorite game amongst a selection of classics and current games. Set the stakes for your Charify challenge - up to €10 per game. 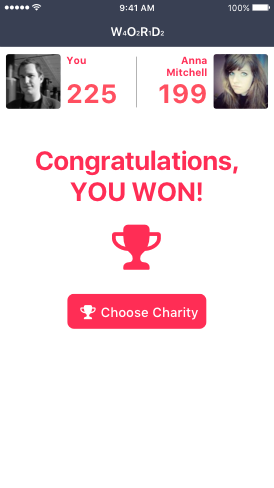 Remember, you only donate if you lose the game, but the winner gets to choose the charity! If you win, you get to pick the charity. If you lose, you donate to the charity the winner has picked. 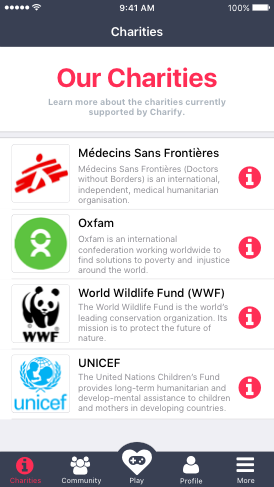 Charify is a place both for charities and for their supporters. 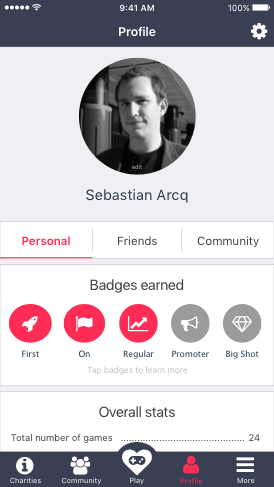 Charify Community is a place where you can see how your friends are doing on Charify. Who is playing which game? Who's winning against whom? Which are their preferred charities? 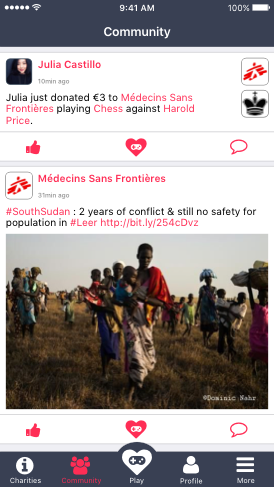 Find out on Charify Community! 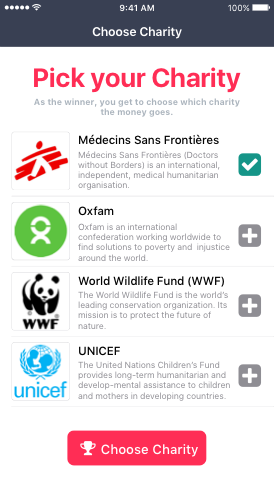 Charify Community is also the place where you learn more about what the charities are doing. Where are the crises? Which causes do they serve? 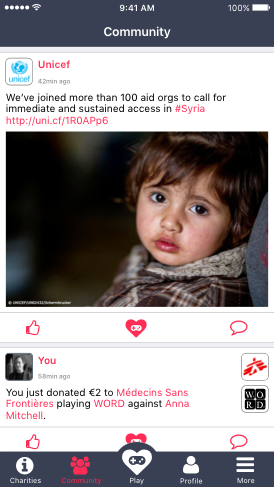 Where is your donation most urgently needed? Leave your email address and we will let you know as soon as we are ready to go. Thanks for signing up to our mailing list! We'll let you know as soon as we are ready to move forward. Please don't forget to click the link in the email we just sent you (so we can be sure that it's really you). 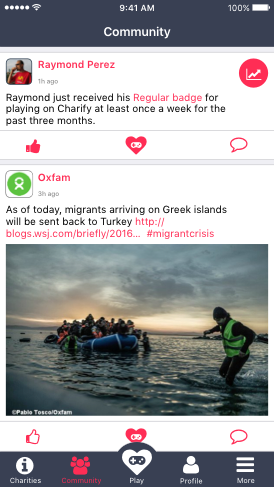 Please help us spread the word by telling your friends on Facebook and Twitter about Charify.